Australian wine is the fourth largest exported in the world. 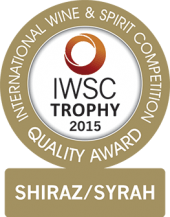 The country took the wine world by storm with their success of the Shiraz grape grown in the Barossa Valley. The mid to late 90’s being the peak of the Australian wine and then slowly dying down in the 2000’s. However, we have seen a recent surge once again with their mid to high end wines. We are now starting to come across some great blends from the country. Producers are getting creative. We are seeing Shriaz with a small percentage of Viognier added to sweeten the taste. Fruit was harvested in the cool of the night and gently pressed. The juice was fermented in French oak barrels (35% new, 65% aged). Various components underwent: a wild ferment, malolactic fermentation and extended lees contact to give the wine further complexity and flavour. Individual parcels were selected and blended, then filtered to produce this Chardonnay without compromising the purity of the fruit in both flavour and aroma. 2014 was a very good season with predominantly mild, dry days. Yields were generally low and this did result in some excellent parcels of fruit being harvested. Vine-balance was carefully monitored, resulting in fruit that demonstrates the vibrancy and fruit-derived characters that we strive for in our wines. Pale straw in colour. Concentrated citrus and white peach fruit flavours are complimented by delicate yeast and subtle spice aromas. The palate is clean and fresh with vibrant fruit flavours, mineral characters and a good lingering finish. Thorn Clarke Milton Park Chardonnay grapes were crushed, destemmed and then pressed using a membrane press. Pressings were not used. Fermented using French Yeast at 12-15 degrees Celcius. The ferment was kept slow and cool to retain all the natural flavors of the grape. The wine was then racked and filtered. Bottling took place soon afterwards so the wine was a true expression of the grape and the terroir from which it was made. The color is a rich vibrant green. The nose shows lifted clean, sweet fruit of apricot and peach. The palate is medium to full bodied and exhibits predominantly peach and nectarine flavors, with cloves and cardamom evident from the use of a small amount of French oak. The wine finishes full and long with a nice balance of sweet fruit and creaminess.